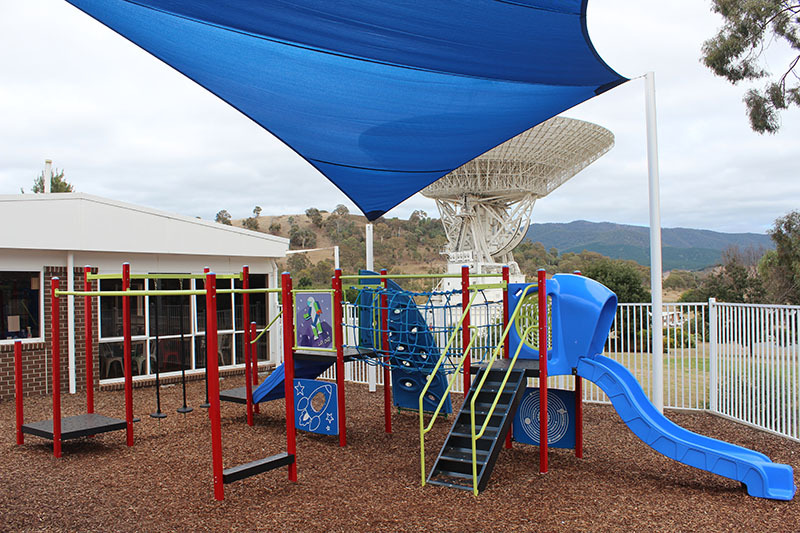 The Canberra Space Centre (CSC) is located on the grounds of the Canberra Deep Space Communication Complex (CDSCC) at Tidbinbilla, about 35kms southwest of the city of Canberra. 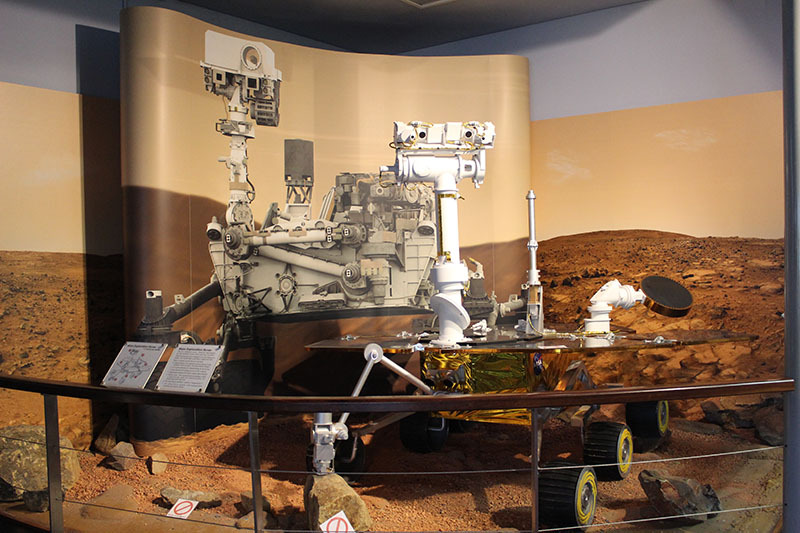 The CSC offers visitors the chance to learn about the role that Australia plays in the exploration of space. You can take in magnificent views of the largest antenna complex in the southern hemisphere, see a piece of the Moon that's over 3.8 billion years old, check out the latest images from across the Solar System and beyond, check out spacecraft models, plus flown space hardware and memorabilia. 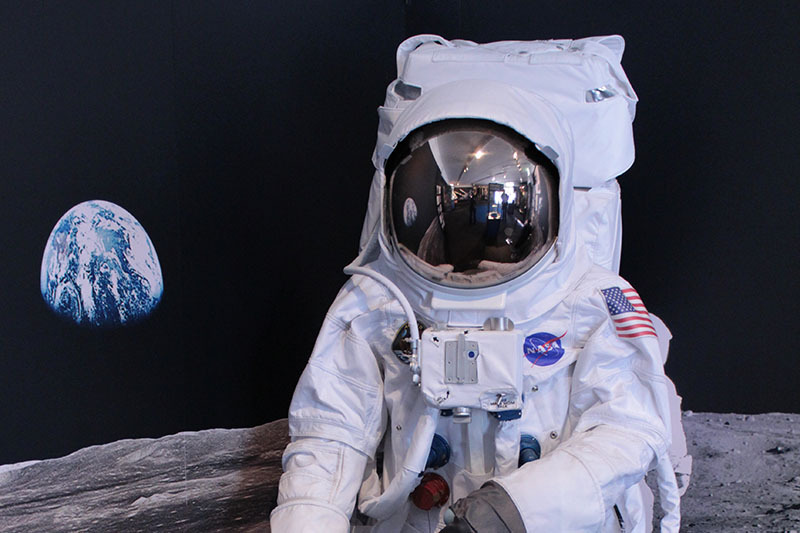 Discover the foods that astronauts eat on the space shuttle and space station, watch a movie on the history and future of space exploration, take a hands-on trip around the Solar System or across the galaxy, or just sit back and relax in the Moon Rock Café. Entry to the Centre is free - Open daily 7 days a week, between 9am & 5pm. Open during all school and public holidays (closed December 25th only). The Canberra Space Centre is located on the grounds of the Canberra Deep Space Communication Complex about 45 minutes drive southwest of Canberra city centre. The Moon Rock Café and giftshop is open 9:30am-4pm for snacks and meals, plus great coffee. 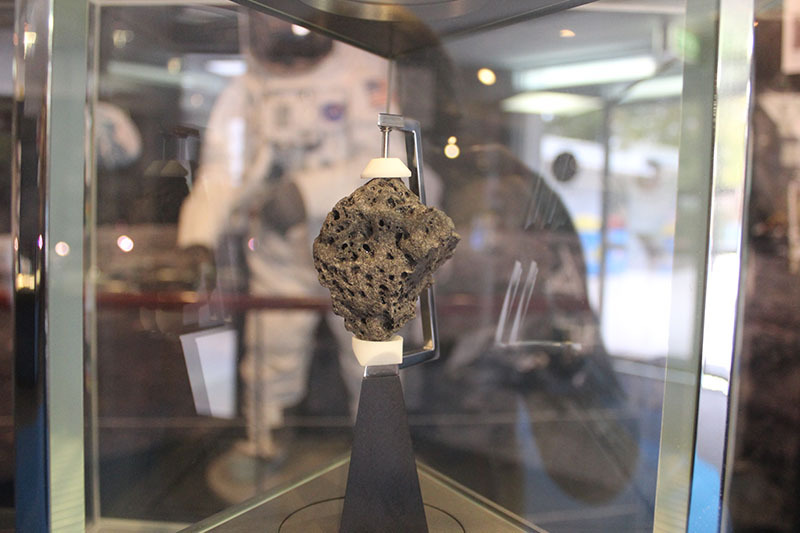 See our Moon Rock Café page for more detail. There is a playground for kids, and picnic areas to enjoy. The Centre and Complex are set in the beautiful Tidbinbilla valley region. Make a day of it by also visiting the Tidbinbilla Nature Reserve, just a few kilometres down the road. School and public groups are invited to come and learn about the amazing work being done by Australians, and the incredible missions that are revealing the secrets of the Universe. 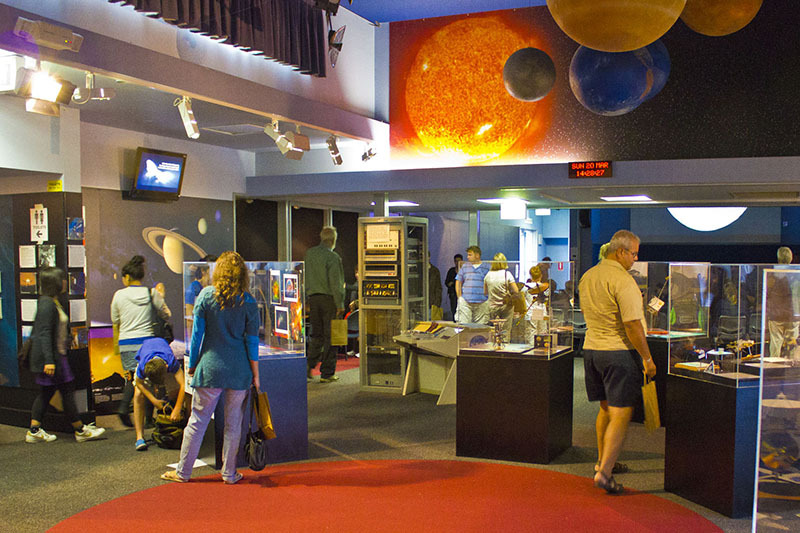 The Canberra Space Centre is a unique and informative learning environment for students of all ages. See Education Programs on our menu at the top of the page for more information. To achieve a public awareness that CDSCC is a facility that significantly contributes to the worthwhile scientific exploration and understanding of our place in the Universe. To offer the public a stimulating and informative insight into the scientific roles and achievements of the exploration of space and CDSCC's crucial role as an element in NASA's Deep Space Network in this cooperative quest to explore our Solar System for the benefit of all humanity. Promote awareness and understanding of the scientific space exploration roles of CDSCC by providing a venue which is welcoming and comfortable and extends a public-friendly air that reflects and instils the beneficial role played by CDSCC. Present to the public high quality, current, informative and stimulating displays and audio-visual presentations. Provide an accessible source of information on space exploration and deep space tracking, including an appropriately maintained public website. To the extent allowed by resources, provide educational opportunities for school groups to establish an understanding of space exploration.